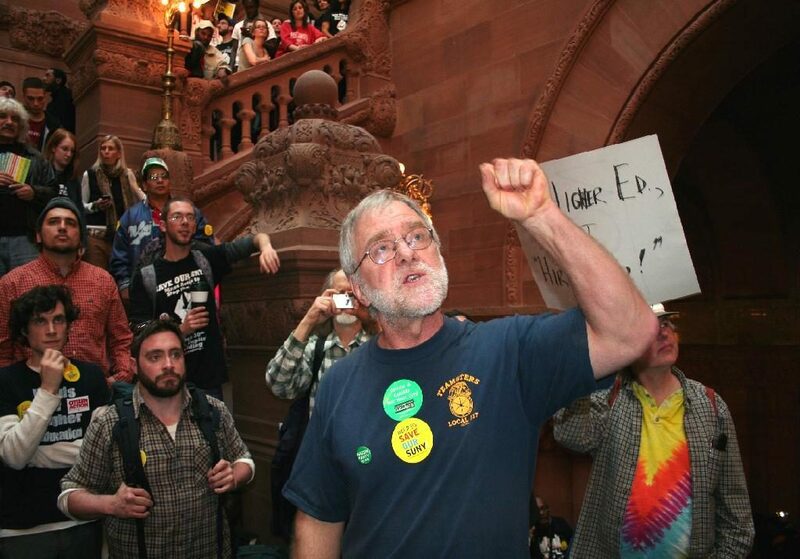 The New York Green Party candidate for Governor, Howie Hawkins, congratulates Governor Cuomo on his win in the New York Democratic Primary. Hawkins is now calling for four regional debates prior to the Nov. 6 general election. Hours after Gov. Andrew Cuomo defeated his primary challenger, Green Party gubernatorial candidate Howie Hawkins congratulated Cuomo on his primary victory and is now calling for four regional debates. Hawkins is hoping to discuss clean energy, rent control, education reforms, and climate change with all candidates in each region. “Now that the primary is over, I look forward to a robust debate with Cuomo, Molinaro, Sharpe, Miner, and Nixon, if she chooses to stay in the race. In particular, I will go beyond Nixon in the general election debate to put forward the eco-socialist policies we need for real solutions to the serious problems we face,” Hawkins said. The first debate topic will be centered around universal rent control. Hawkins believes that cities should be able to set their own rent standards, rather than the state legislature. The next debate will discuss funding in high poverty school districts. “We must also desegregate New York’s most segregated schools in the nation and Opt Out of high-stakes testing to evaluate teachers and put high-poverty schools into receivership and privatization as charter schools,” Hawkins said. Clean energy is another hot topic that Hawkins feels passionate about. Hawkins proposes clean energy by 2030, not 2050. “Unlike the primary debate, the rules should be determinedby all of the candidates and the media, not just Mr. Cuomo,” Hawkins said.